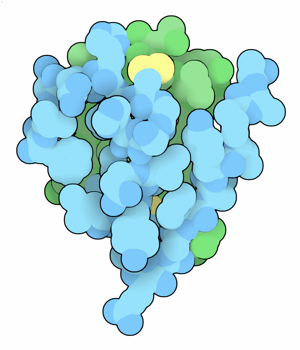 Insulin is one of our most important hormones. It coordinates the action of cells throughout the body, making sure that they are managing uptake, use and storage of blood sugar correctly. After eating, our blood is full of sugar, and special cells in the pancreas release insulin into the blood in response. This signal tells cells to take the sugar out of the blood for direct conversion into energy or storage as glycogen or fatty acids. Later, as blood sugar levels drop, another pancreatic hormone, glucagon, manages the release of sugar from the cellular glycogen stores. 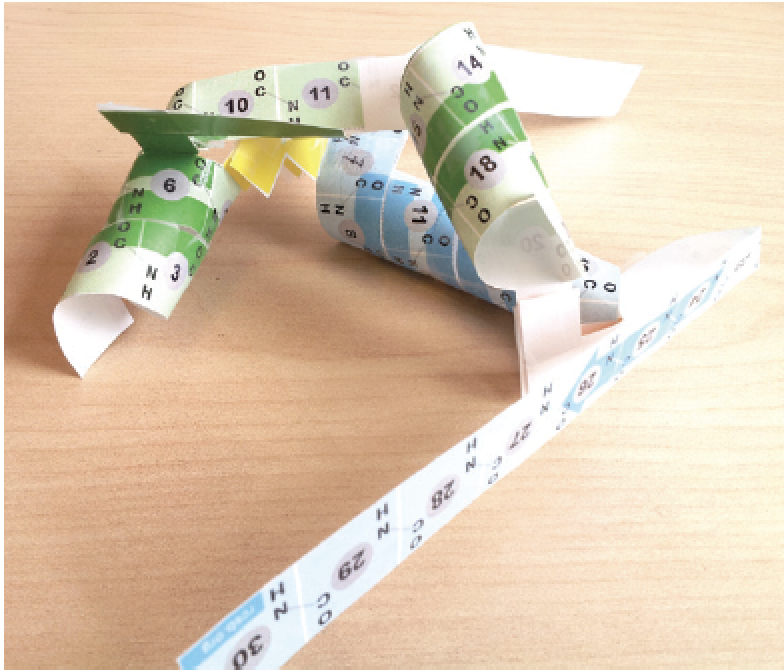 To build this paper model of Insulin, download and print the template PDF (English | Spanish). Instructions for cutting and assembling are included. 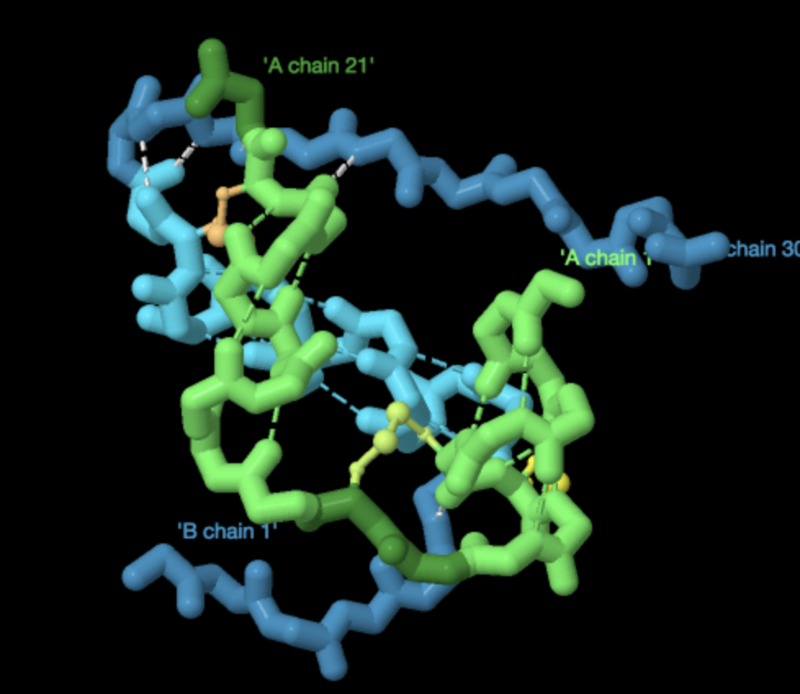 Use the PDB-101 Browser to explore more resources and articles about Diabetes.